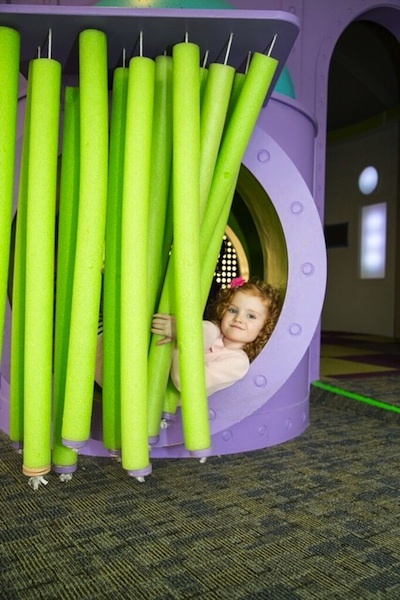 Our newest learning space is dedicated to early STEM education. STEM stands for Science, Technology, Engineering and Math. Exploration of these areas helps children to develop critical thinking skills and to make connections to the world around them. Link, Lift, Launch. With exhibits on flight, magnetism, rockets, and building, this space encourages open problem solving, collaboration and critical thinking. Children and adults will have fun linking, lifting and launching in this new exhibition. Exhibit areas feature special “Challenge Cards” to encourage deeper investigation into STEM topics. 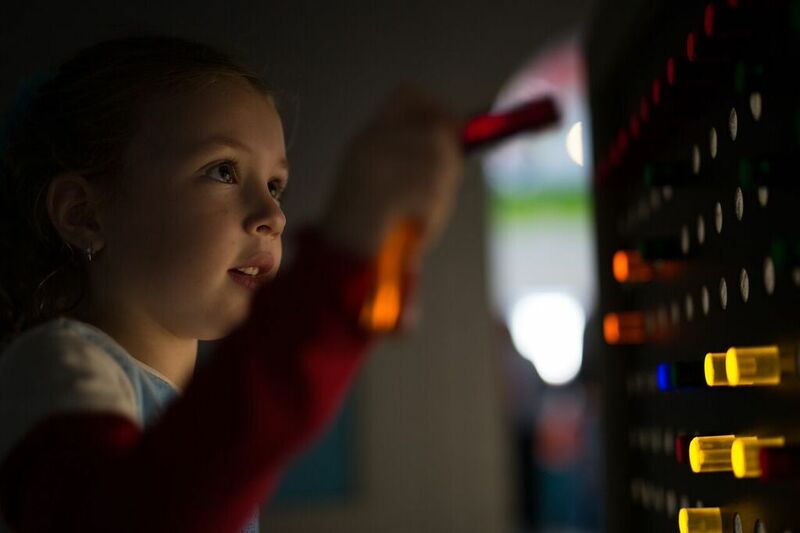 WonderDome is an immersive play space that features nine interactive sensory exhibits involving light and color. Children can create light-art using brightly colored acrylic rods while developing fine motor skills and hand-eye coordination. 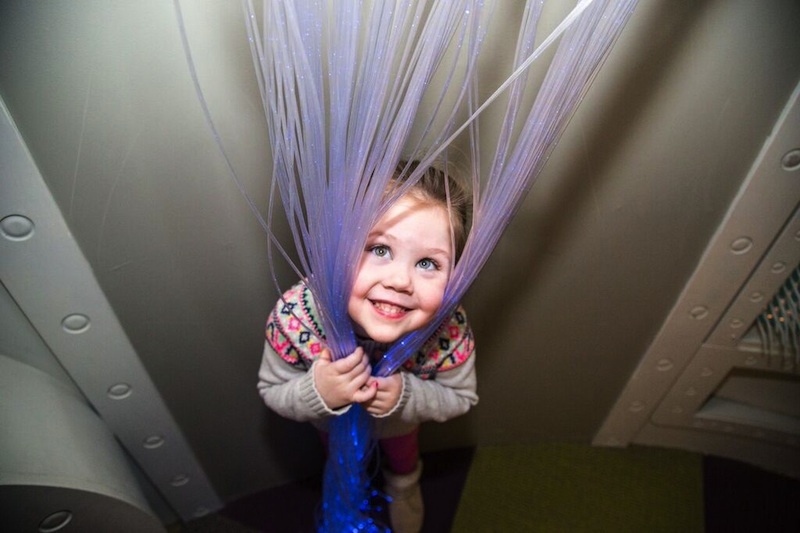 The Light Waterfall, offers soothing, color-changing floor length strands of LED fiber optics, and the Tactile Curtain, which invites children to scramble through a wall of noodles. 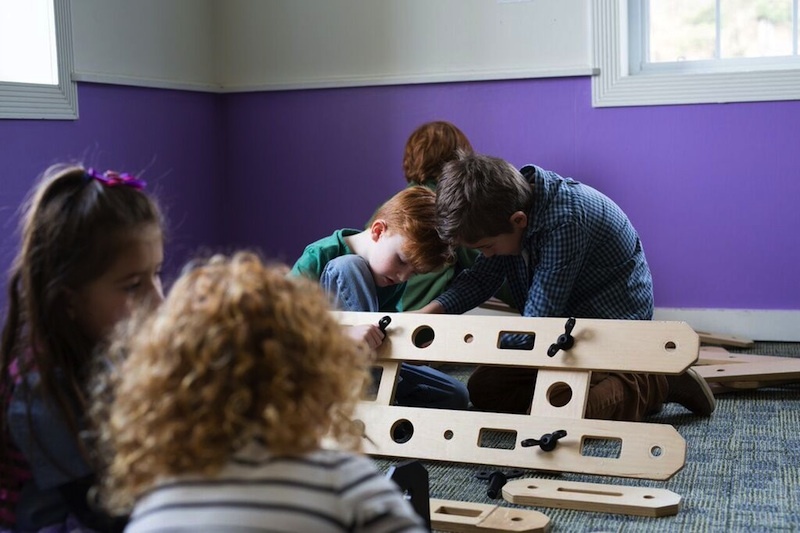 WonderDome is designed to give children, parents, caregivers and therapists more options for using the children’s museum for both therapeutic and explorative play. Explore light and color while making designs and patterns using acrylic pegs in this giant 3D light box. Behind a pool noodle curtain, the WonderDome has secret nooks for hanging out. Surround yourself with ever-changing color in a curtain of cascading fiber optic strands. With over-sized planks, pulleys, bolts and rope, Rigamajig encourages you to design and create giant structures. Using everyday objects – from pool noodles to paper cups – explore flight in our vertical wind tunnel. 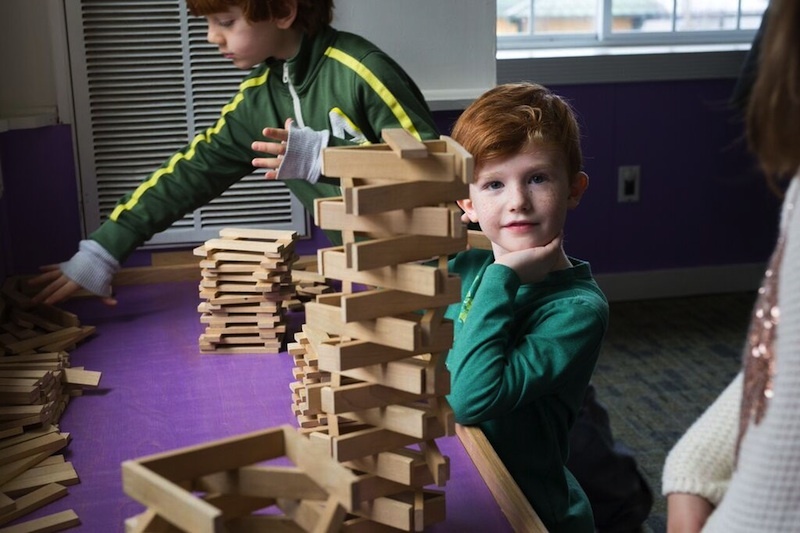 What can you build with KEVA planks? Is it strong enough to withstand the “wrecking ball?” Come test your engineering skills! 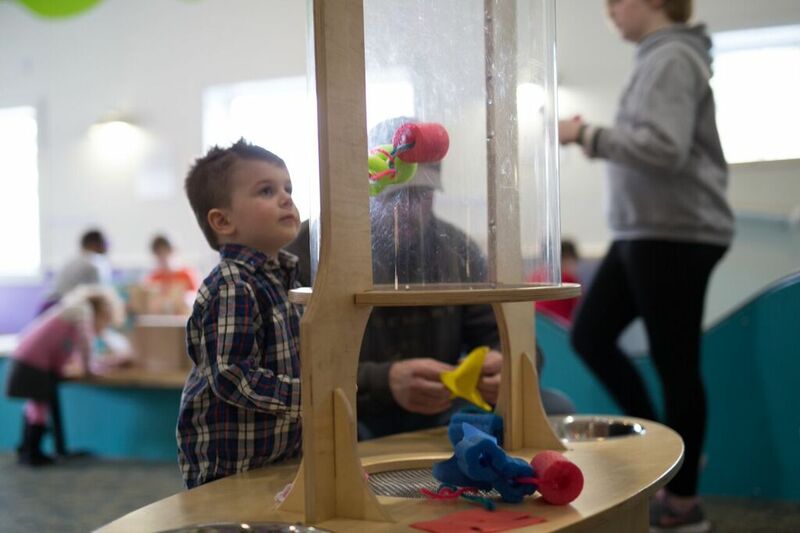 The Science Center @ MHCM was developed with major support from IBM Corporation, the Jeannette F. Schlobach Charitable Trust, and the Mid-Hudson Children’s Museum Annual Fund. The Science Center @ MHCM will be sustained through a special corporate membership program.